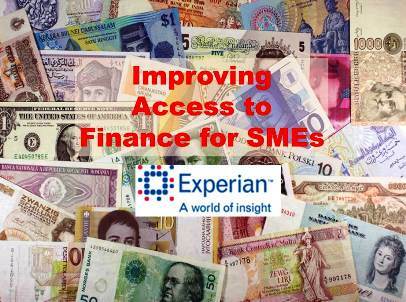 Experian, the global information services company, announced the launch of a comprehensive new service to help the UK’s 2.2 million SMEs gain better access to credit and improve their chances of securing finance and funding. From the Funding for Lending scheme to crowd-funding, there have never been so many sources of funding open to small firms. Yet it remains essential SMEs appear as an attractive proposition as possible to potential creditors when seeking investment to grow. Aimed at the 87 per cent of the UK SME population* acknowledging a limited awareness of how to safeguard their credit rating, My Business Profile is an online subscription-based service which gives the directors of limited companies the ability to proactively monitor and manage their Experian commercial credit score. Taking control of a company’s credit position is one of the most effective ways to maximise a business’ chances of securing investment as it has the possibility to increase the funding options available to a business. My Business Profile enables directors of limited companies to determine and understand the top factors influencing their business’ credit score, in real time, at the click of a button. In addition to providing one of the most comprehensive credit scoring facilities available, new CAIS (Credit Account Information Sharing) data allows a business director to review and act upon what a lender sees when making credit decisions about their business.